Charging station is always the best answer to have when you have more than 2 devices/gadget at home. It would make everything easier and faster. No more drama of who have their charger instead, everyone can be happily share and plug their cell phone, iPads and other devices that have a USB outlet. I have another wonderful opportunity to share with you today. 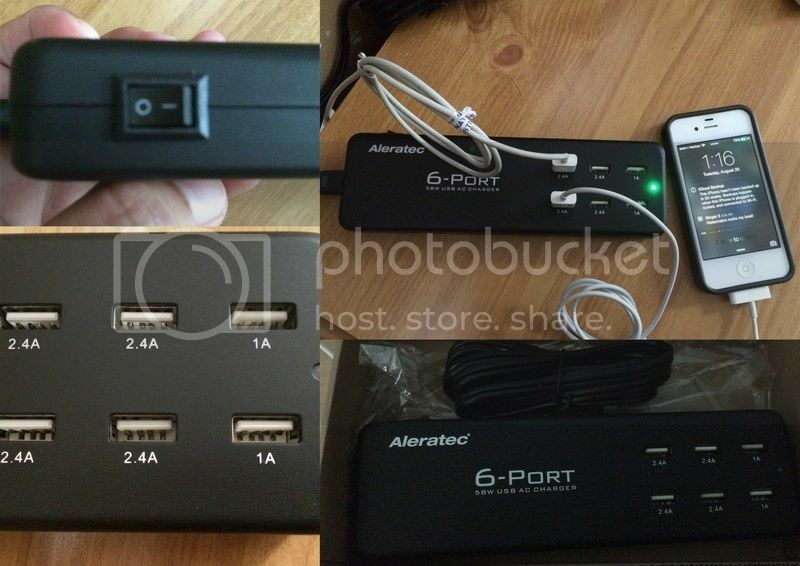 I was able to be given another of their awesome products and this time I received the 6 Port USB charging stations from Aleratec. Very interesting, the item arrived in the mail via the UPS. I don't see any signs of damage that I was able to use the charging station right away. · I like the idea of switch on/off on the side of the charging station. Would be safer and save me money with the electricity whenever it is not in use..
· No need for installation, all I have to do is to connect the wire cable to the charging station and I am all set. · Definitely portable and easy to keep. I have been using the port now for a week and so far so good. I have never encountered any problem and sort of ports that is stopped from working. How come you get all the good stuff, lol. KIdding aside, those are nice! With all the gadgets we have these days, I think everyone needs this! It's awesome! Wow that's a clever charging station I wonder if they are power efficient too. We have some few gadgets at home and this tools is suits for our needs.